Portfolio Designer is a WordPress plugin used to build a portfolio in any desired layout. 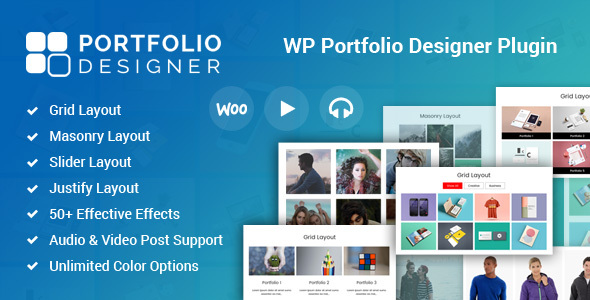 This plugin is user-friendly, So no matter if you are a beginner, WordPress user, Designer or a Developer, no additional coding knowledge is required in creating portfolio layouts. 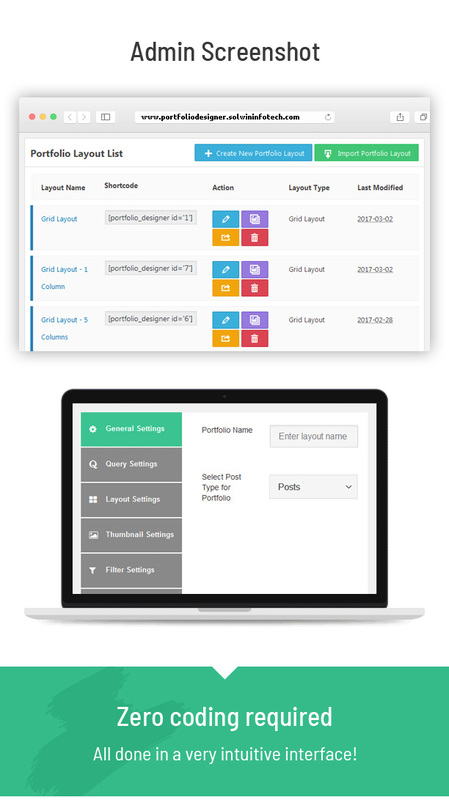 This plugin comes with Grid Layout, Masonary Layout, Slider Layout and Justify Layout etc. to build a portfolio. It is very easy and fast to create stunning portfolio layouts and integrate them into your WordPress site using tons of settings options. Using Portfolio Design plugin, you can create new custom post types or use your existing blog posts or custom post type posts. Create unlimited custom post types, portfolios and insert an unlimited number of portfolios on your site or even on one single page via shortcodes. If you like to create a portfolio or looking for a complete solution to manage portfolios, this product is a useful tool for you. 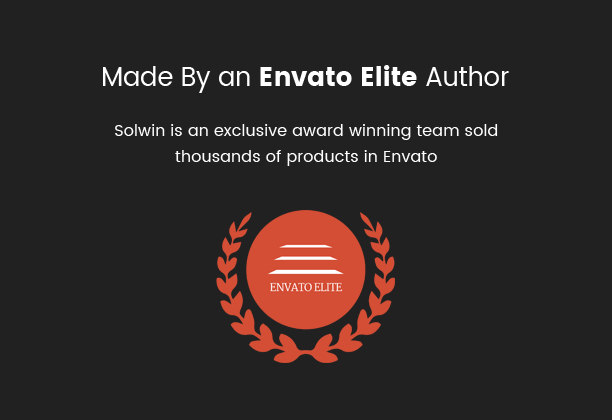 It comes with 50+ effective Hover effects using CSS3 and HTML5. This plugin provides unlimited layouts style with the help of Grid layout, Masonry layout, Slider layout and justify layout. This plugin comes with 3 types of pagination : Standard pagination, Load more and Autoload. Import or Export your Portfolio Layouts easily anytime for your next website or future usage. Category and tag wise filtration of your post. You can create unlimited custom post types and create unlimited layouts using them. 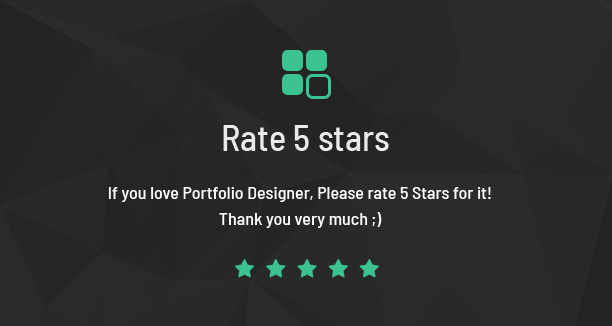 In Portfolio designer plugin, fancyboxes are available for portfolio lists. 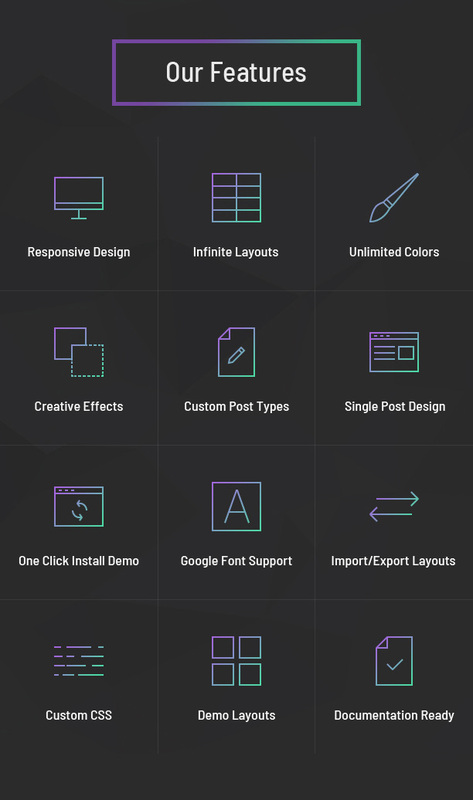 In this plugin user can change single portfolio page design using tons of settings option. 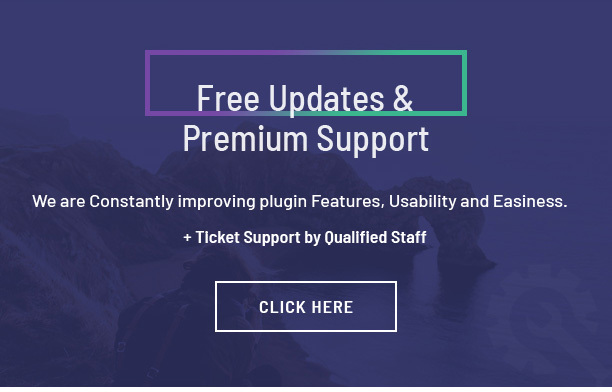 This plugin gives the support of shortcode. Using shortcode integration, you can easily customize your page. Advanced options to show posts like setting the limit and order of the posts, filtering by taxonomies and terms. What makes Portfolio Designer Plugin Outstanding? Templates are fully responsive with any devices like smartphone, tablets, iPad, laptop, desktop, etc. Individual column options available for each device. Templates are compatible with all major browsers like Firefox, Chrome, Opera, safari etc..
Set portfolio template design for your custom post types also. Plugin is user friendly, no need of expert. Basic WordPress users can also easily use it. Preview style or design of layout before publishing it on front-end. In this plugin, you just need to upload single image and plugin can generate any size of image on fly. Portfolio designer plugin is built with search engine optimization in mind to ensure better rankings across all search engines. Import & export your favorite layouts anytime and reuse it with another websites easily. 3 Different type of pagination are available – Paging with Number, Load More and Load on Page Scroll. Enhance your portfolio page design with 650+ Google Font support. Easily move your portfolio page style to website style via large font collections. Note: Any media, Photo, video used in preview are not included in this item and you need to contact authors to get permission in case you want to use them in your commercial or non-commercial projects. Font Awesome – The iconic font and CSS toolkit. Isotop – Filter and sort layouts. Fancybox – Tool for displaying images, html content and multi-media in lightbox. Slick – slick is a responsive carousel jQuery plugin. SocialShare.js – jQuery plugin for creating custom like buttons and like counters.